Designed a huge 60x40 poster as well which is on all the legal flyposting sights in town. 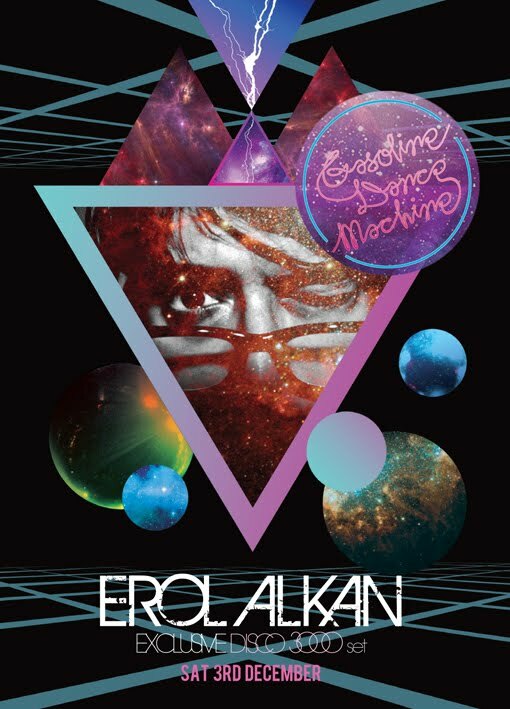 Gasoline Dance Machine featured world renowned DJ / producer Erol Alkan in December. 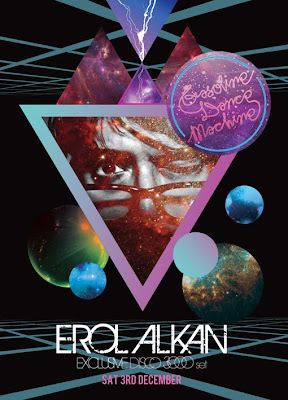 Here is the flyer I designed for the event. 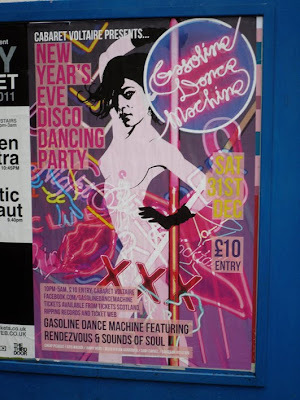 The last Menergy of 2011 and I decided to feature one of my favourite Hi-NRG stars - Pete Burns.